Spider control and removal – Eight legs, two body segments, six or eight eyes, what could be scarier than that. Humans’ fear of spiders is so widespread that it’s the theme of movies and the focus of psychology studies, and while many people have a general dislike of spiders, some have developed phobias that paralyze them with fear. Unfortunately, spiders are so common that they can be found in any home, and they are so private, hiding in darkened corners, cracks, and crevices, that most don’t even know they are there unless they see the webs. Because the female spider lays so many eggs, chances are when you see one spider, you have more. Spiders don’t do much to damage the home or property, but their ability to cause harm to humans varies. For the most part, they are non-poisonous and unaggressive unless provoked and cause little more than an itching burning welt. There are, however, a small percentage of spiders that are poisonous. These spiders have the ability to cause great pain and can even sometimes fatally wound a human. Advanced Pest Control of Alabama offers spider control services in many locations of Alabama and at reasonable prices. The most feared spiders in Alabama are the brown recluse and the black widow because of their poisonous nature and potentially fatal outcome. A brown recluse bite can have varied effects from no reaction at all to a large open lesion where the bite occurred. These lesions can become gangrenous and take several weeks to heal. If bitten by a Brown Recluse, you should seek immediate medical attention. 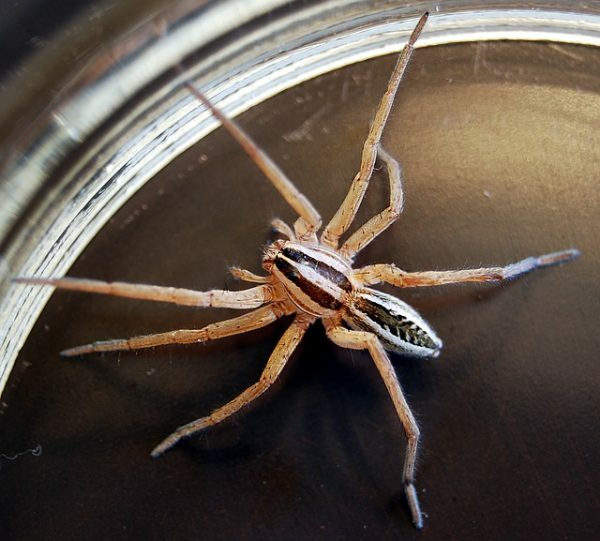 The brown recluse can be identified by its brown coloring, a layer of velvety hair, six eyes, violin-shaped marking on the top side, and long thin legs. It gets its name, recluse, from its shy nature. It hides in dark secluded places like trash cans, tires, and under porches. One of the most well-known spiders is the black widow identifiable by its large shiny body and the hourglass marking on its underside. A misconception about a black widow bite is its fatality rate. In fact, while a black widow bite can be fatal to children or the elderly, most adults who are unlucky enough to have been bitten only suffer from severe pain. The effects of a Black Widow bite sometimes include severe muscle contractions, nausea, and diaphragm paralysis that makes breathing difficult. Black widows are unaggressive and generally shy. They bite in defense and for food. Because of their shy nature, they can be found in darkening corners of the home such as crawl spaces, garages, closets, and basements. They are also commonly found in wood piles. Black widows spin large webs during the day where they deposit their egg sacs and catch prey. Less feared but equally creepy are non-poisonous spiders. Most of them do little harm. If you are bitten by a non-poisonous spider, you may develop a red welt similar to a mosquito bite. Those with venom allergies may have more severe reactions. 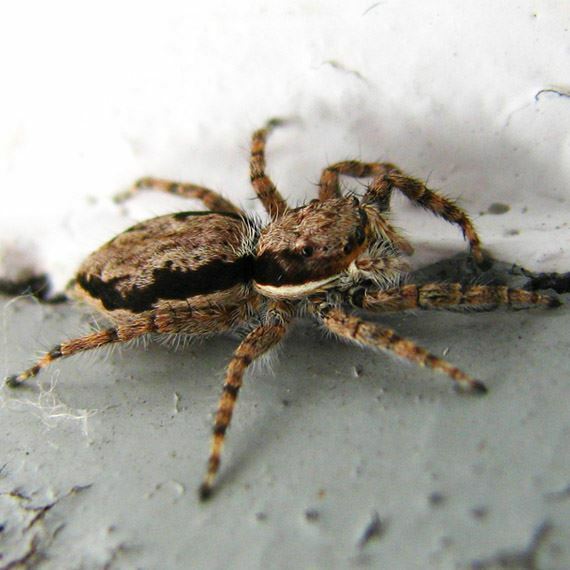 Some non-poisonous spiders in Alabama include tarantulas, jumping spiders, and wolf spiders to name a few, but there are almost 900 spider species in Alabama. If you want spiders removed from your home in the Huntsville, Cullman, Decatur, Florence, Jasper, Guntersville, Gulf Shores, Orange Beach, or Foley areas, contact Advanced Pest Control so we can exterminate them, leaving you with a spider-free home. If you notice you have spiders in your home or business, you might want to seek the help of a professional. 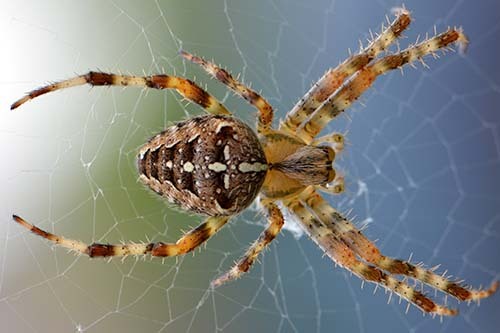 Advanced Pest Control of Alabama offers spider control and spider removal of both poisonous and non-poisonous spiders to relieve you of your fears.